Seals can be moulded to customer specification, provided off the roll or cut to size. Moulded seals are ideal for mechanical assemblies, electrical & electronic products and water resistant products. 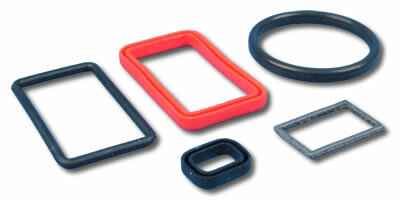 Many extruded seal profiles can be made available including door seals, vent & manhole seals, and engineering seals. We supply edging seals for sheet metal fabrications in a range of styles, typically to protect against the often sharp edge of thin gauge material. Edging seals can also be used for creating a tight seal around an aperture such as a winding window on a car door or a domestic appliance.